Desktop virtualization is becoming a popular way for businesses and institutions to manage their quickly expanding IT infrastructure. The Piri Reis University, which chose to switch to virtual systems, is harvesting these benefits. After their previous PC-based infrastructure proved too expensive and unable to expand any further, the university chose to make the move. Since moving to virtual desktops, Piri Reis University has been saving each year approximately 280,000 USD – on electricity alone. Also, the previous desktop infrastructure required additional staffing due to the need for manual intervention. 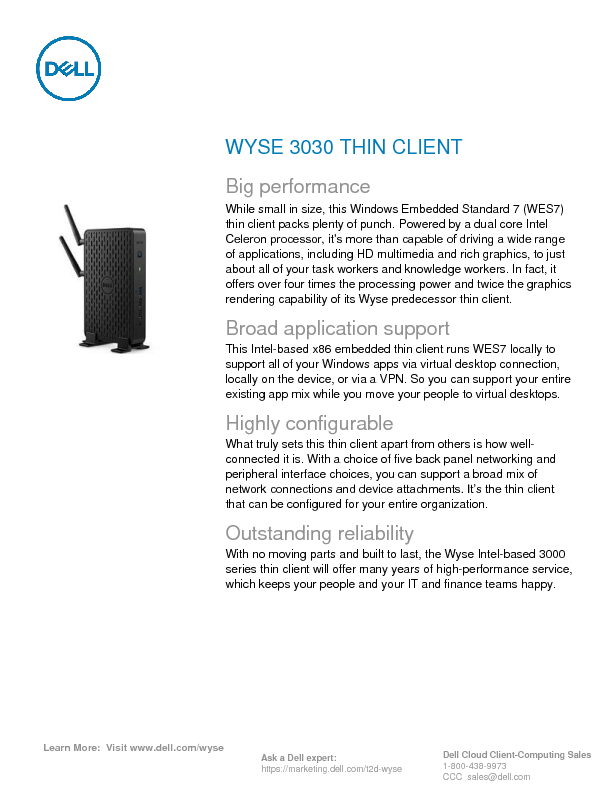 The introduction of Dell Wyse devices provided the university with a more user friendly solution, increasing the IT efficiency at the institution. The maximization of simulator uptime meant that issues are resolved 97 percent faster and desktop roll-outs can be achieved much quicker. Desktop installations, that before took hours to complete, are now realized within minutes with a virtual desktop. Therefore, freeing up disk space is evidently more efficient under virtual desktop devices. In the event of a virus attack, IT teams are able to rebuild a desktop in approximately 15 minutes with a virtual desktop system, a task that would have taken hours before the reorganisation. 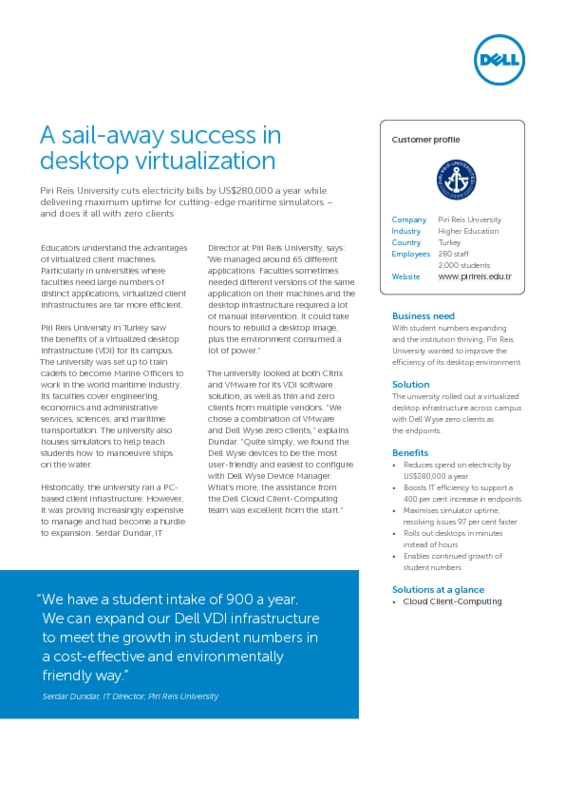 Aside from these benefits, virtual desktops take pressure off IT Managers, and allow management personnel to focus on other IT tasks: At Piri Reis University, there has been an increase of 400 percent in the number of desktops the small IT team consisting of six individuals is able to manage at one time. The need for fast expansion to accommodate new students is a real issue in an educational institution. Piri Reis University welcomes 900 new students each year, managing this expansion has become much more cost and time effective with the virtual infrastructure. Read the complete success story of Piri Reis University here .